I love these captures, Hien! Awesome work with the lunchtime lighting! He was enjoying it, with no other bird around for competition. Great images Hien, I have never gotten this bird in front of my lens yet. Thank you John! You’ll have to come back to Eastern shores to photograph them. 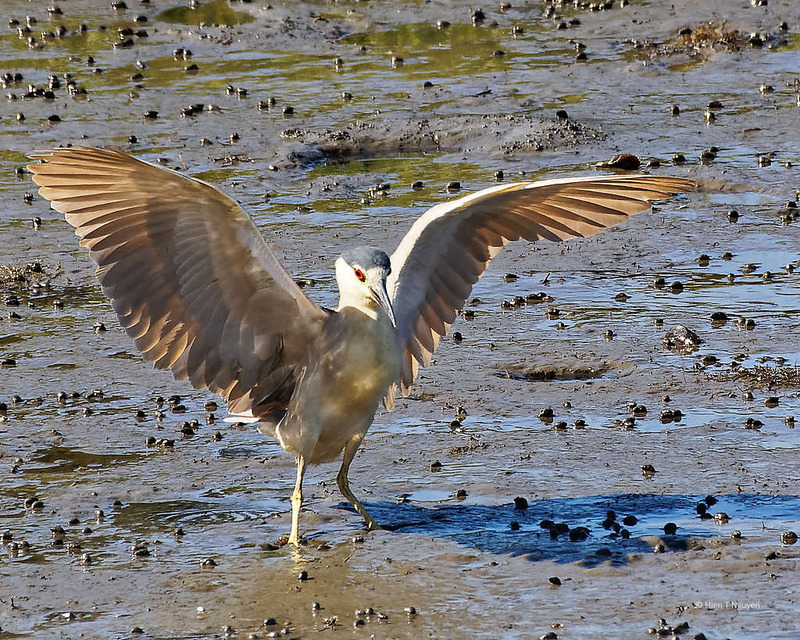 Fantastic photos – I like the contrast of the plumage of the heron against the blue/brown mud. It usually pays to leave the crowd behind, as these awesome images of the heron gathering food show! Thank you Jerry! 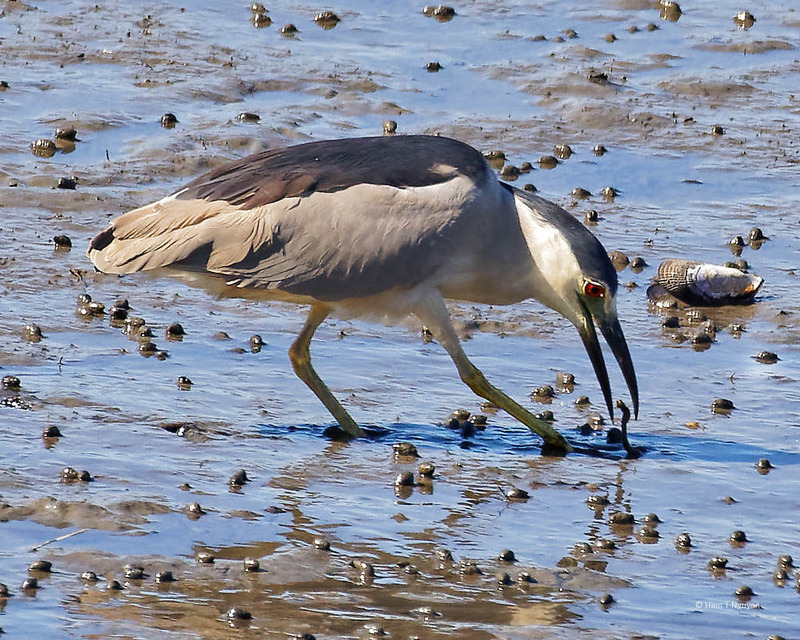 For a long time I’ve been trying to photograph these herons catching their meal. But I usually don’t stay out in the evening. Then this one put on a morning show and I couldn’t believe my luck. Beautiful images. I saw my very first one recently at the creek near my house. It was late evening. Just enough light for a few shots. Thank you! Do you have images of the heron on your blog? It’s the second to last image. Unlike your luck, I happened upon it as the light was getting dim. It’s not a great shot, but a thrill to catch one and even be able to make out what it was! Now I remember seeing it. It’s a great shot in that dimming light! Thank you! 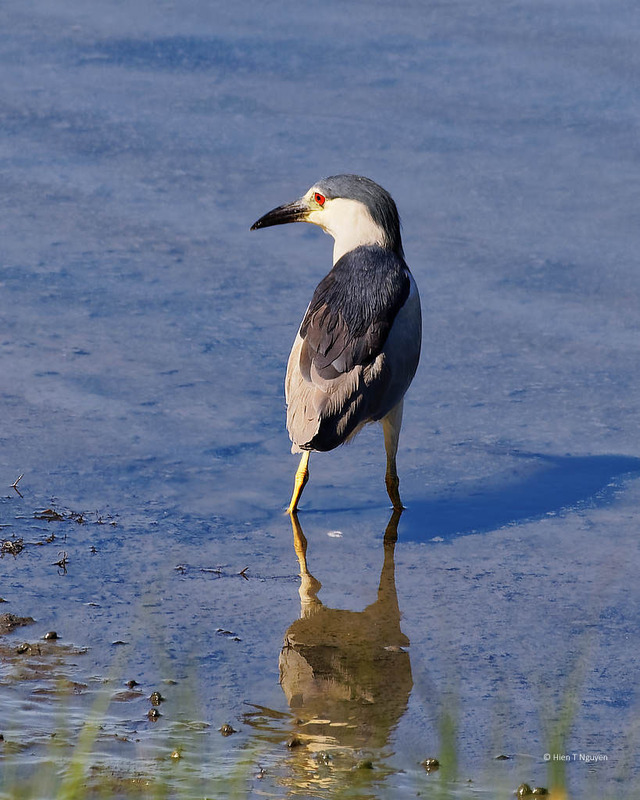 Do you know what kind of herons can be seen in Central Park? No, unfortunately not but they are blue in color. They are not always there though. Thank you! You are right, everyone else’s attention was on the babies. I was taking pictures of the photographers when this heron flew toward where I was. 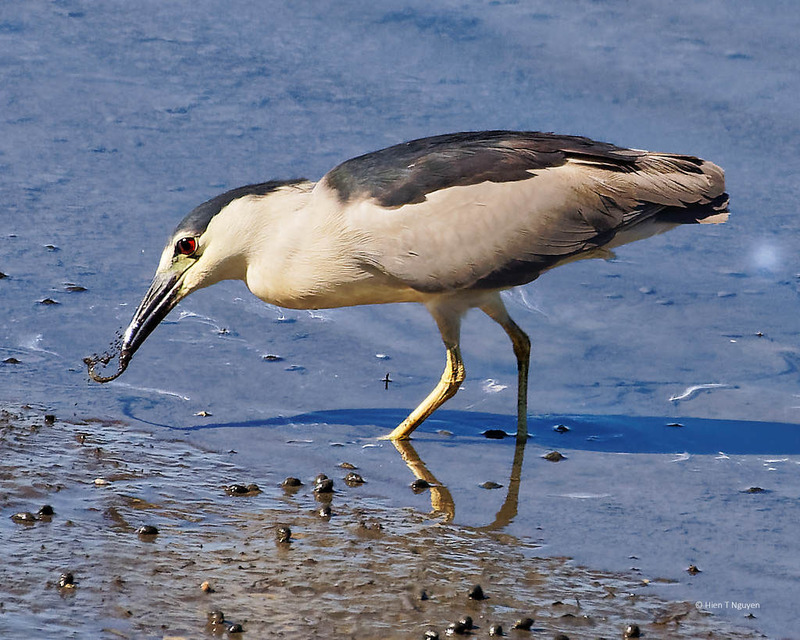 For a Black-crowned Night Heron, it should be delicious!